April 5, 2016 (Concord, NC) – Announced today, Venturini Motorsports (VMS) and Legacy™ Manufacturing Company have entered into a strategic marketing partnership with core emphasis on promoting the company’s well-known Flexzilla® brand through a highly targeted motorsports marketing and activation campaign. Legacy, with corporate headquarters in Marion, IA, is a manufacturer of high-quality, durable equipment for professional and domestic use. 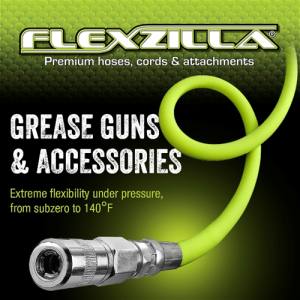 Legacy is the driving force behind the popular Flexzilla brand of air and water hoses, extension cords and other products designed to make your work easier than ever. 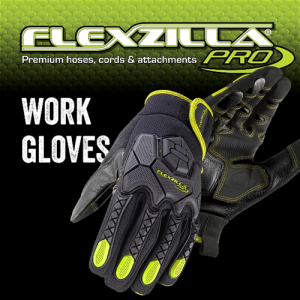 Leading edge technology and premium materials have established Flexzilla as the industry leader. Venturini Motorsports is a professional motorsports team with over 40-years of experience competing in NASCAR and the ARCA Racing Series presented by Menards. VMS is widely known for their successful driver development program. Since 2007, Venturini Motorsports has built a strong reputation of preparing the country’s top NASCAR driver prospects for the big stage. Most notable Venturini Motorsports’ Alumni include NASCAR drivers Joey Logano and Erik Jones. Logano, winning two races with Venturini made his NASCAR Sprint Cup Series debuts with Joe Gibbs Racing in 2008 and in 2015 became the second youngest Daytona 500 winner. Erik Jones, also a winning driver for Venturini Motorsports, drove for the Concord, NC based team during the 2013-2014 ARCA season and is now considered one of NASCAR’s hottest commodities. Jones won the 2015 NASCAR Camping World Truck Series Championship driving for Kyle Busch Motorsports. Other well-known drivers making their rise up the NASCAR ranks with Venturini Motorsports include Daniel Suarez, Ryan Blaney, Brian Scott, Justin Allgaier, Alex Bowman and Brennan Poole to name a few. Overall, Venturini Motorsports has assisted over 40 drivers who’ve gone on to compete in one of NASCAR’s top three series’. Flexzilla products can be found nationwide through a variety of automotive, farm, industrial and home improvement stores – including the ARCA Racing Series’ presenting sponsor, Menards. For more information about Venturini Motorsports visit www.venturinimotorsports.com or find them on Facebook, Twitter, and Instagram! The 2016 National Hardware Show is May 4-6, 2016 in Las Vegas, NV. Come explore 15 major product categories on display by thousands of exhibitors. Legacy will showcase new innovative products that expand our brands in the Hardware & Tools, Lawn, Garden & Outdoor Living, Farm & Ranch, Automotive and Industrial categories. 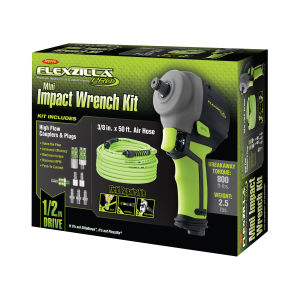 Legacy’s product offering includes: Flexzilla hoses, cords and attachments; SmartFlex air, garden, RV/Marine hoses; Lock-n-Load grease guns; ColorConnex couplers & plugs and Cyclone blow guns. Visit Legacy at Booth #6442! Flexzilla® will attend the AAPEX Show November 3-5, 2015, in Las Vegas, NV. Legacy, the maker of Flexzilla, will gather with over 39,000 targeted buyers and more than 130,000 professionals to learn about the future of the automotive industry. Flexzilla will showcase their product offering of air hoses, water hoses, pressure washer hose and accessories, custom built hose program, tire inflators, high flow couplers and plugs and power cords. We hope to see you there! Legacy Manufacturing, the maker of Flexzilla extreme-performance water and air hoses, is building a $10.4 million facility to consolidate its operations and double its capacity. The 133,000 square foot building will be located in Marion, Iowa — the same as its current facility — where the company has done business for over 20 years. Also impacting the decision is Legacy’s goal to re-shore more of their products. The company expects to move into the new facility during the first quarter of 2016. While Weems says Legacy products are available in the U.S. and Canada through multiple market channels, there are opportunities for considerable growth in many others. “We are projecting significant growth in the next five years,” says Weems. Legacy Manufacturing Company specializes in durable and innovative products including Legacy equipment for the automotive and industrial markets, Flexzilla hoses, cords and attachments, SmartFlex air, garden and RV/Marine hoses, Lock-n-Load grease guns and ColorConnex, an easy color matching system of couplers and plugs. Legacy Manufacturing is a division of Weems Industries, founded in 1986. For more information, visit legacymfg.com.